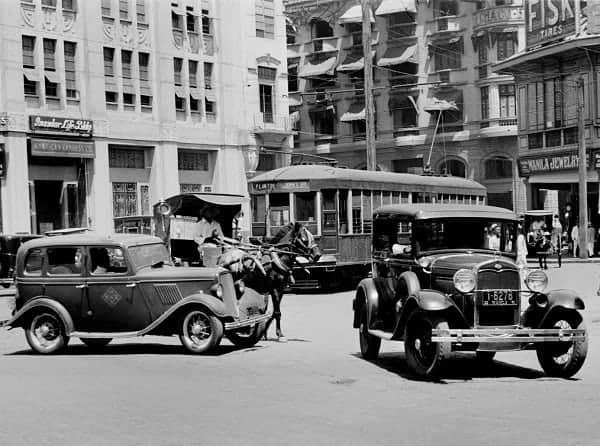 One interesting detail caught my eye as I browsed through black-and-white photographs of pre-war Manila. Sitting in the front seat of what appeared to be an early model of Ford automobile is a man. At first look, you’d think it’s just another photograph from a bygone era. A closer inspection, however, reveals why it looks a bit strange: the driver’s seat of that car is on the right side. In the early 20th century, when automobiles were first introduced to the world, no strict rules existed that required anyone to choose either right- or left-side driving. Cars were few and far between, and a lot of roads remain unpaved. Hence, choosing which side to drive was just a matter of custom. Plaza Moraga in 1935. Photographer: Clarence Woodrow Sorenses, 1907-1982. © Board of Regents of the University of Wisconsin System. When the technology reached the Philippines, we didn’t start as a left-hand-drive country right off the bat. In fact, we were the exact opposite: Early automobiles in the country, as seen in various peacetime photographs, initially adopted left-side driving, which means you drive your car to the left side of the road while the driver (or the steering wheel) is on the opposite side of the vehicle. WWII changed everything–and that included the way how we drive cars. 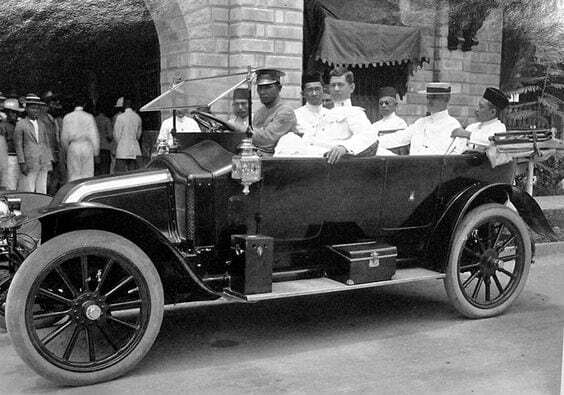 The Americans who took part in the war also brought with them motor vehicles that were different from what Filipinos used to drive. These vehicles, which would later become part of war surplus that gave birth to Philippine jeepneys, had its driver’s seat on the left side (for right-side driving). 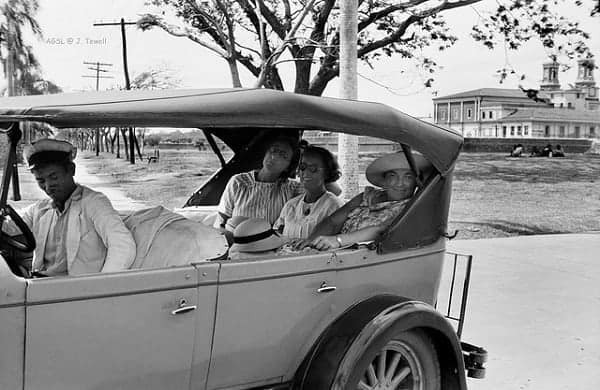 It is said that the Americans first adopted this system after Henry Ford designed and released his Model T.
3 ladies enjoying themselves as they are leaving Intramuros through the Santa Lucia Gate, Intramuros, Manila, Philippines, 1930s. Photographer: Clarence Woodrow Sorenses, 1907-1982. © Board of Regents of the University of Wisconsin System. Apparently, the American vehicles were in conflict with the system that was in place in the Philippines at that time. To facilitate movement of the American troops, uniformity had to be established. A permanent change was finally implemented when President Sergio Osmeña signed Executive Order No. 34 on March 10, 1945. The said EO justified the changes made by citing two reasons. It said that the system “would reduce the price of motor vehicles imported into the Philippines from the United States.” The other reason, of course, was to accommodate the motor vehicles of the United States Army that were already plying Manila roads. (You can view the original copy of the EO here). And that, my friend, is how we became a left-hand-drive country, joining 75% of countries around the world today with the same way of driving. Terkel, S. (2013). The Good War: An Oral History of World War II. The New Press.